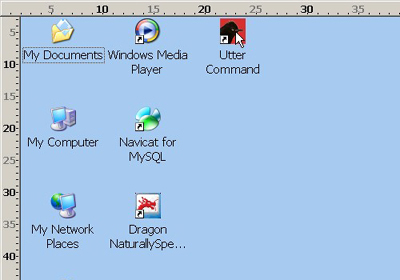 The Utter Command mouse commands allow you to place and click the mouse using screen coordinates. For example "50 By 50" clicks the middle of your screen. 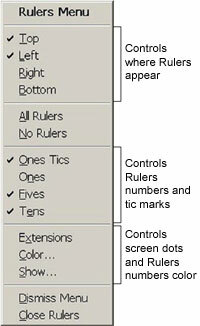 The Rulers utility puts rulers around your screen so you can more precisely place the mouse and move windows. 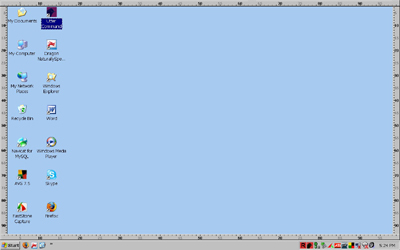 You can place the mouse using the screen coordinates with or without the rulers around your screen. 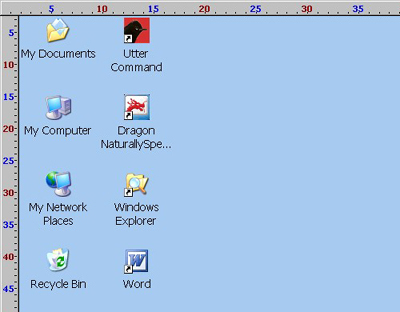 When the Rulers are open the Rulers icon appears in your System Tray. 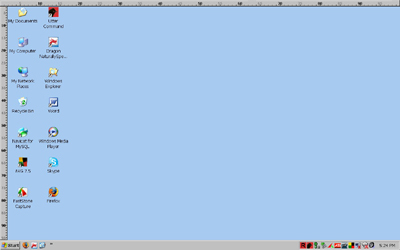 You can put rulers on any or all of the four sides of the screen. You can control the color of the numbers and the number of tic marks. This video shows the UC Rulers in action.